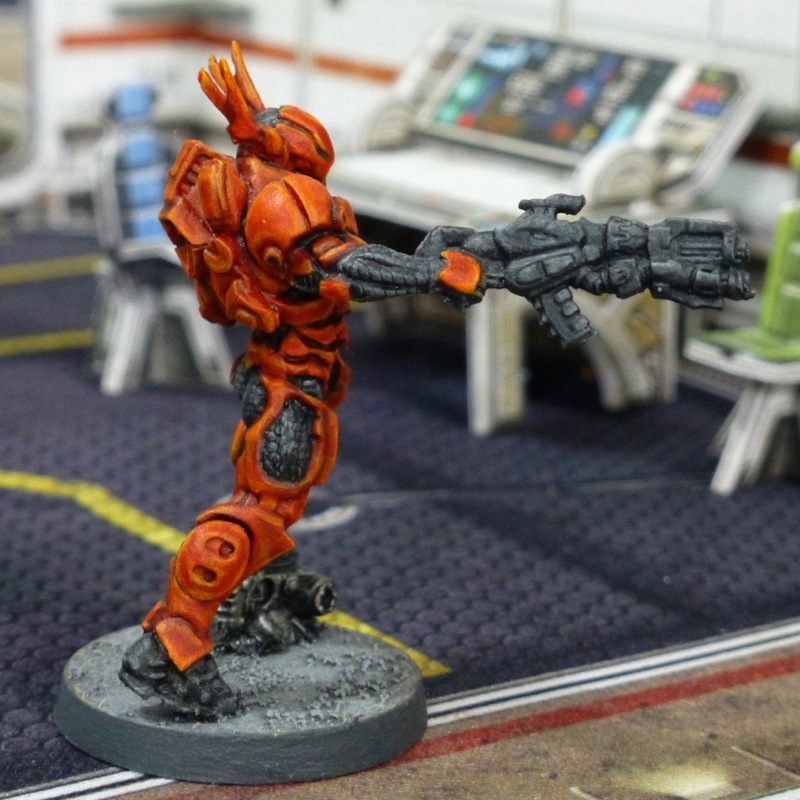 I haven’t been painting for Infinity in a while, but I have been preparing for it. 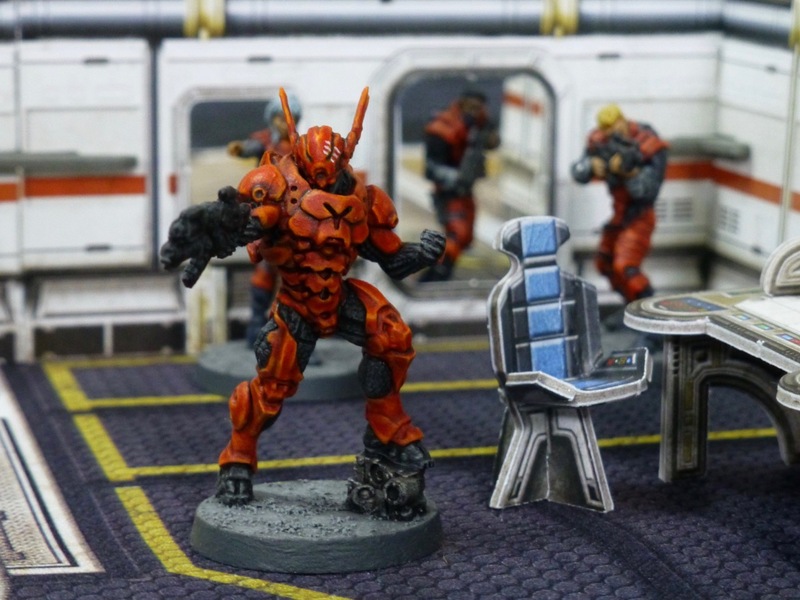 When Battle Systems’ Sci-Fi II terrain came to Kickstarter, I went in for the Galactic pledge to be able to build some nice indoor terrain to fight (and take photos) in. I’ve received my sets now and put a couple of pieces together to take shots of the Mobile Brigada I painted for my Nomads some months back. 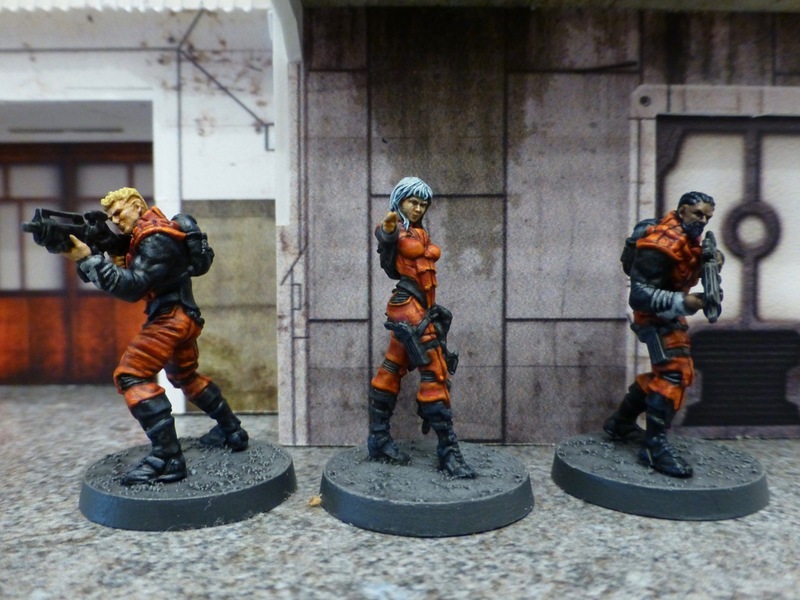 I had painted the bases for my Infinity figures in a plain, concrete grey originally, as I was planning on a cityscape setting for most games. Now I am considering putting them on the clear plastic bases I also used for my Conan set. 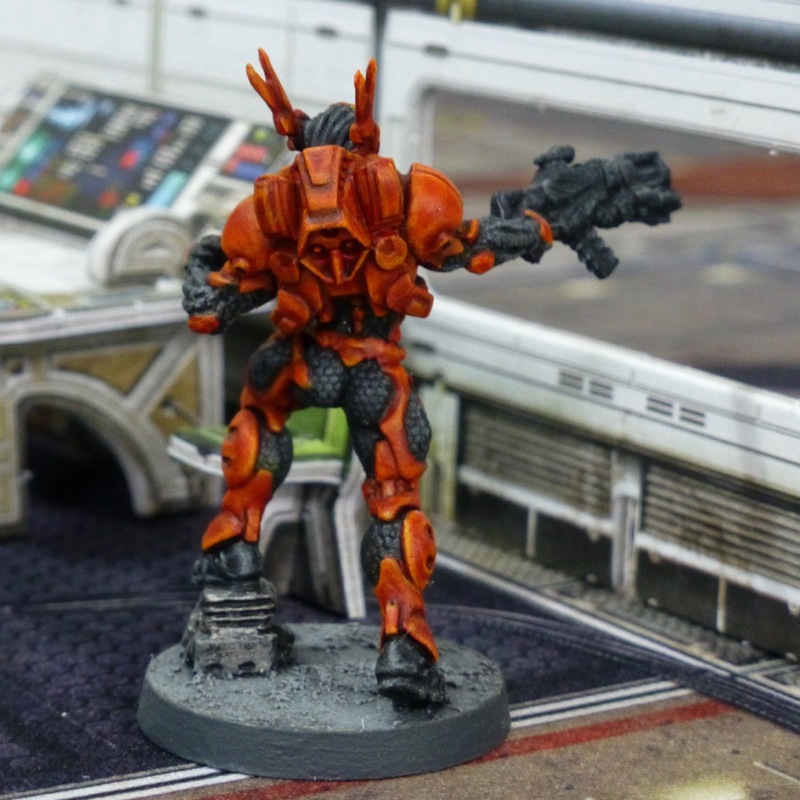 I bought into Infinity last year, ordering the USAriadna and Operation Icestorm starter sets through Corvus Belli’s GenCon special offer. With Operation Red Veil now en route as well (and the Onyx Contact Force already on the shelf too), it’s time to get some troops painted for the battlefield. The style of these sculpts is quite a departure from the far chunkier models I usually work on, but the details are so crisp that it is easy to pick them out with highlighting and washes. I was never going to emulate Ángel Giráldez, so I am keeping things simple and achievable. I had prepared all figures from the box set a while ago by applying the base colours, so I managed to finish the three Alguaciles in two evening sessions. 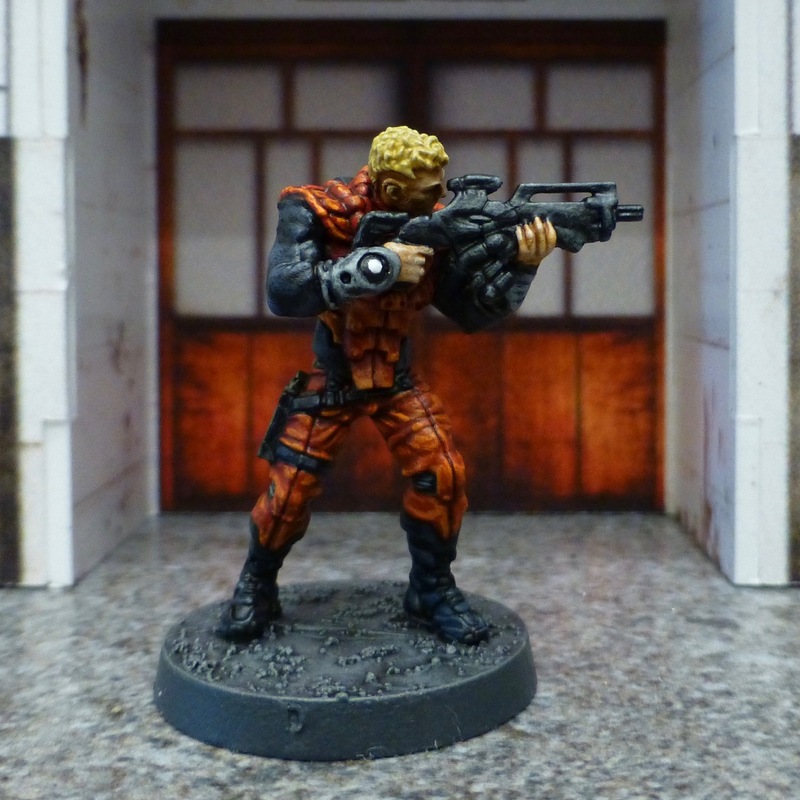 Corregidor lends itself to a more grimy and dark look, so I followed Corvus Belli’s basic colour choices. 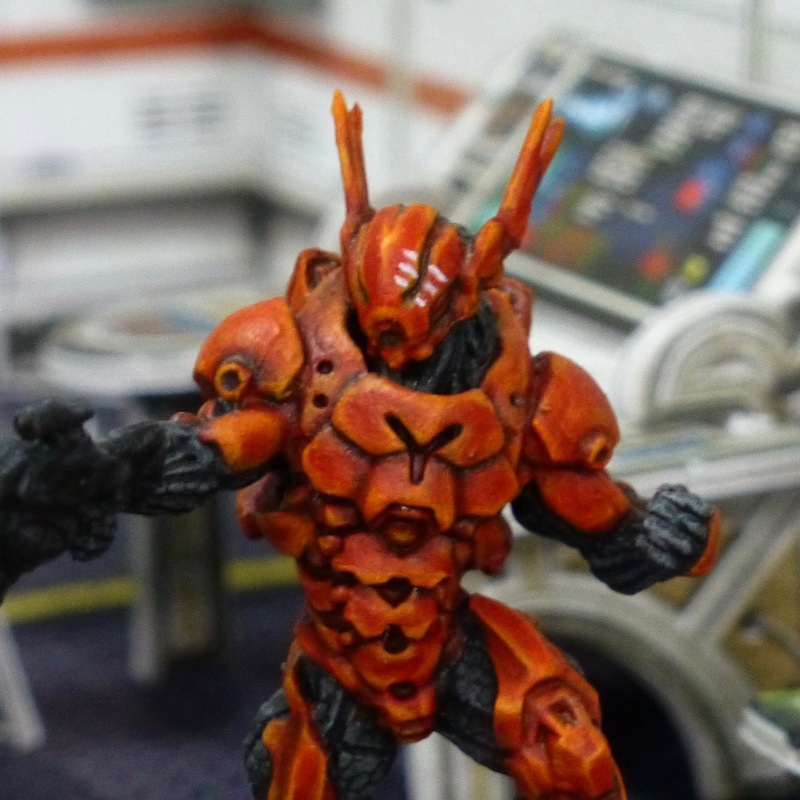 I lifted the red armour up a bit further into orange to compensate for the darker black and lack of lighting effects. 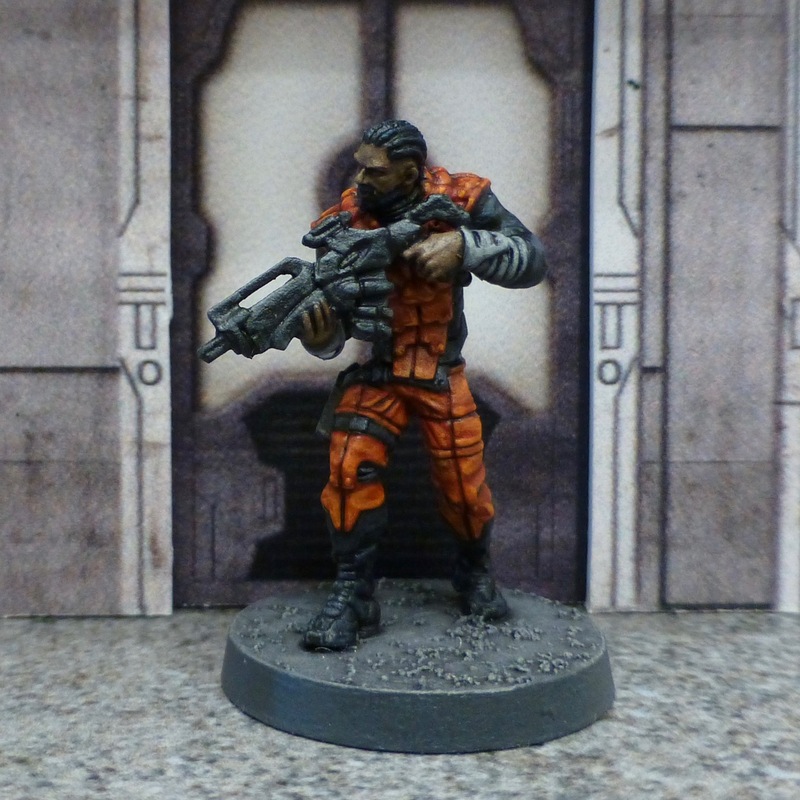 I like the cyberpunk aesthetic of these models, and bought matching scenery at this year’s Salute from Plast Craft. 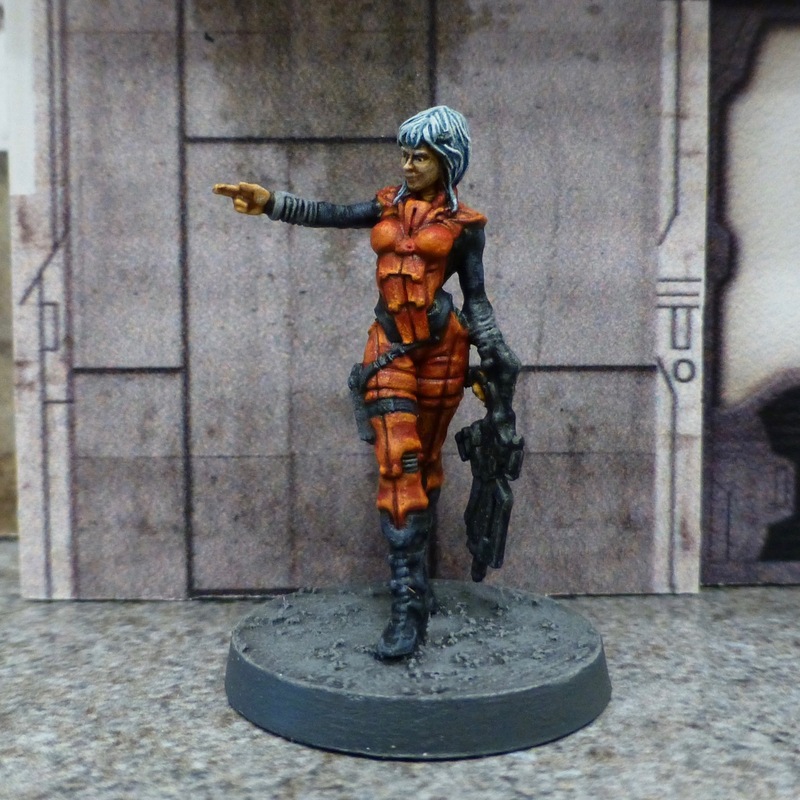 More of that in future Infinity project updates.